I’ve always loved a good tye dye! But my days of the rainbow tye dye and my handmade hemp jewelery are long gone… but of course not forgotten! 🙂 For the last few years, I’ve found myself drawn to a more subtle and I believe, sophisticated type of tye dye. Yes, it’s true I know nothing about the Shibori method except what I’ve “learned” through Pinterest?!? ….. and watching the beautiful dying process that Maura Grace Ambrose uses and so graciously shares on her amazing blog. I am so ready and excited to try this method. As some of you know, I’ve been playing with the idea of hand dying my own fabric for a long while. My intention is to someday, use natural dyes and to incorporate some of the techniques I hope to learn about…. through this book, which is likely just the first of many. 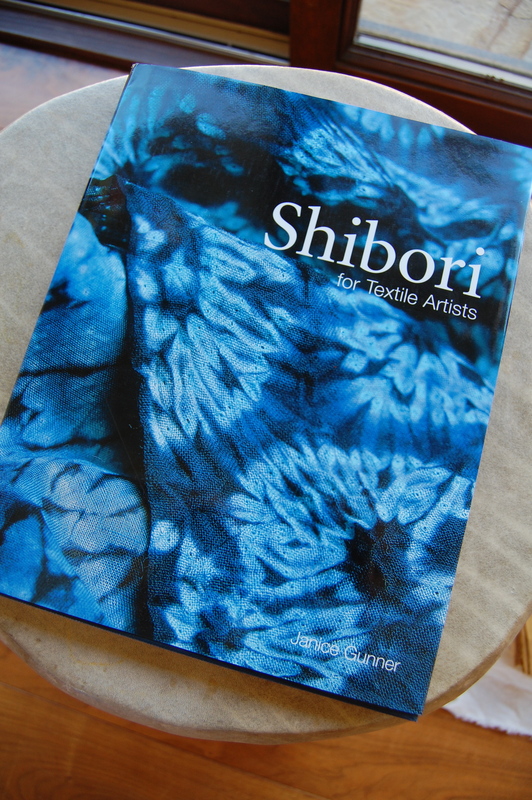 Thanks to my dear MIL who so kindly gifted me with this book recently, I now have no excuse not to become an expert in Shibori dying techniques…… well that might be going a bit far, but I do hope to gain enough knowledge to play around and create some beautiful patterns that I can use in future quilts! This book by Janice Gunner is filled with beautiful photos and detailed techniques to help get even a total beginner like me started. Very exciting!! So apparently this shibori and indigo influence has gotten to me as of late because I have had a particular quilt design on my mind for a while and realized that I just had to have these fabrics to make it complete. I first saw these Kasuri by Moda prints during a recent trip to Superbuzzy and just couldn’t stop thinking about them. I found this giant 4 or 5 yard bundle of white linen that I ordered many years ago with the intention to dye believe it or not- yes it all comes full circle eventually doesn’t it? 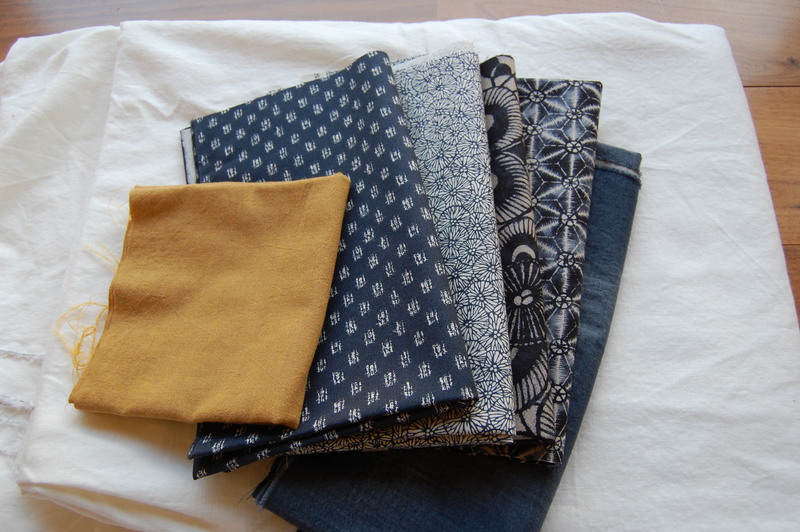 I want to combine the linen and these indigo prints (probably not all of them) and solids along with my new Robert Kaufman Shot Cotton into a new quilt design. They are just about ready to come out of the dryer, so I’ve got some work to do! 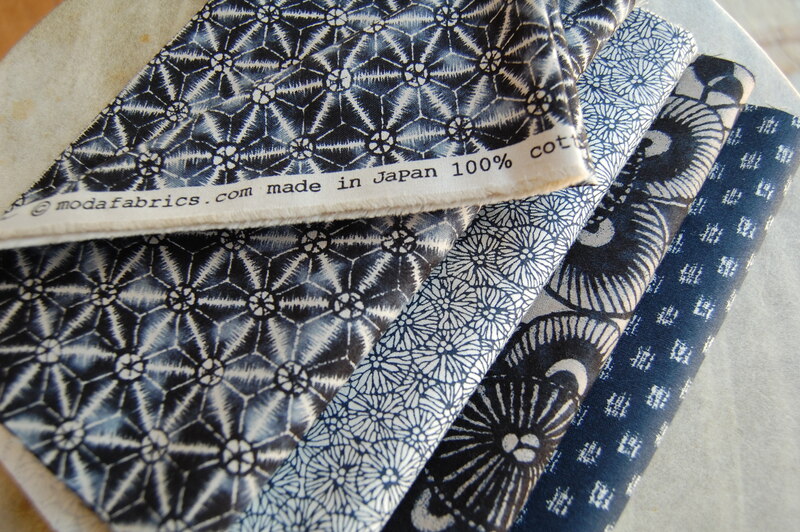 These are beautiful fabrics….I’m afraid I will be purchasing from this website. Funny, but I keep thinking about Japanese boro and the blues and indigos that are found in boro. Here’s to artistic obsessions! Oh, it’s the Couldn’t-Stop-Thinking-About-Them virus, eh? We’ve all been smitten by that one!